CLICK ON THIS LOGO TO REGISTER! Typically, the SHP offers a number of classes for all grade levels. Past offerings have included a chess club, various sports, group music lessons, and robotics, just to name a few. No classes are offered on Mondays, and most run for 6-8 weeks. All classes are held at Lorton Station beginning at 4:00pm; parents/guardians must provide transportation home. 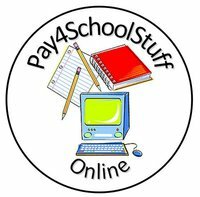 If you were registered on Pay4SchoolStuffOnline.com last year, please make sure you go in and change the grade which your child is in for this year to reflect their promotion from last year. Individual fliers for all of the classes can be found by clicking here.